Every spring the Launsteins check in on several resident Red Fox families in their area, hoping to celebrate new arrivals. 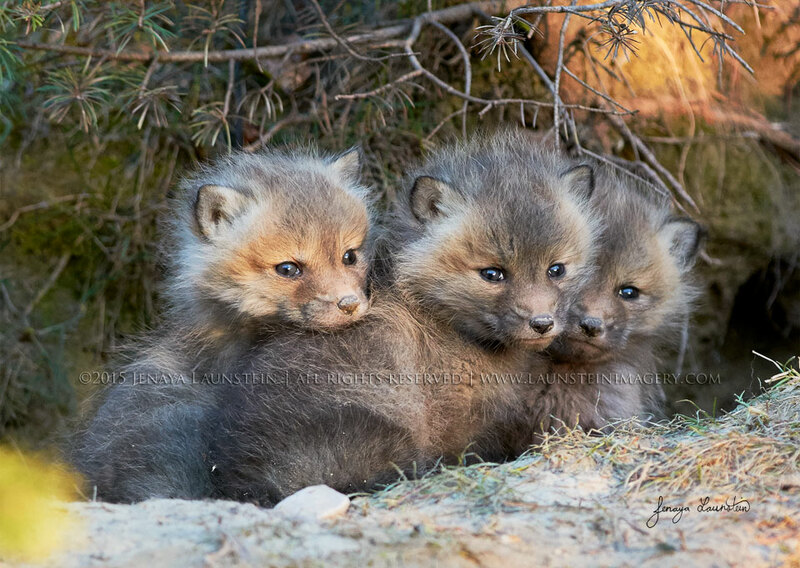 Jenaya was set up in her vehicle photographing the father fox through her telephoto lens when five babies clumsily made their way out of the den on one of their first forays into the outside world. When these three huddled together for a moment in the soft evening light, Jenaya knew she had captured a special moment. It’s not everyday you get to take a family portrait that’s this full of adorableness!